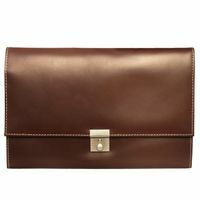 Meeting, job interview or bank appointment? 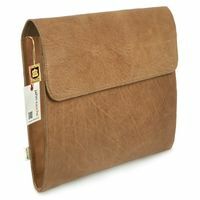 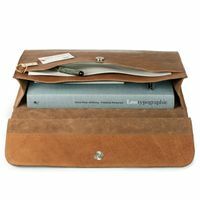 You do not want to show up with a large briefcase, but definitely need a proper file to always have the most important documents at hand immediately for the conversation? Then you are exactly right here with this file pouch. 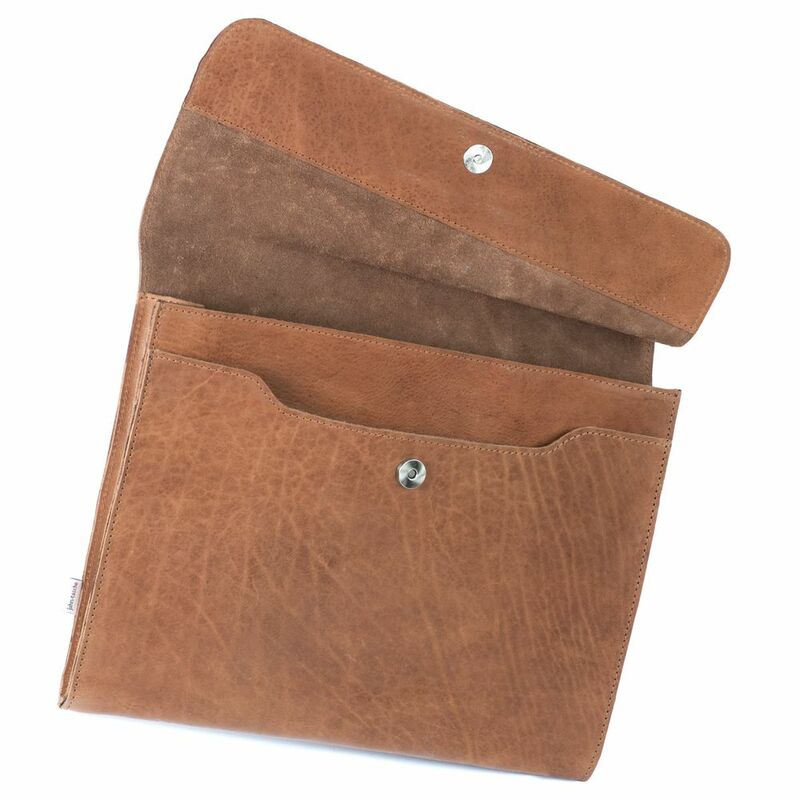 This simple leather case in A4 format does without any extra gadgets, but rather stands out with its functionality which is suitable for everyday use, and its timeless beautiful style. Due to the special “cow washed” tanning procedure, it is very robust and durable but at the same time, its natural look does not have to be lowered. 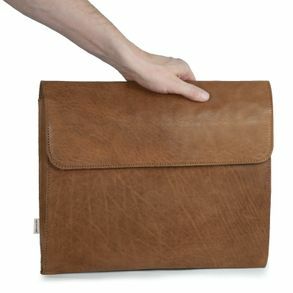 The leather bag has got a large, sturdy main compartment and a smaller, flat front pocket for your papers. 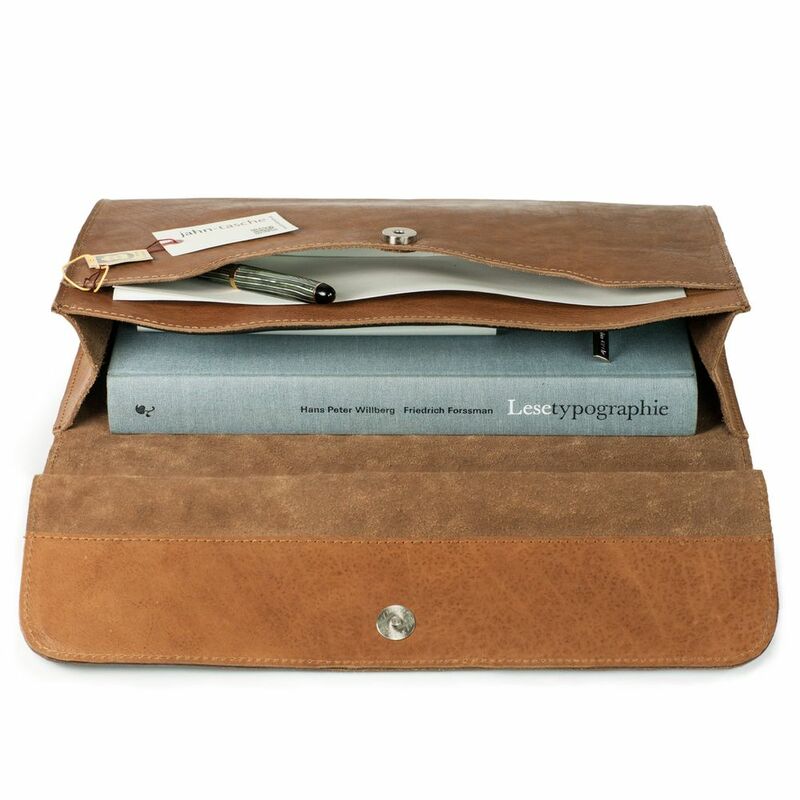 The two compartments easily fit e.g. 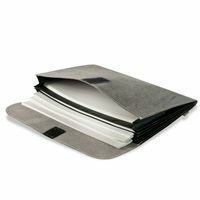 single documents or a loose-leaf binder in A4 format. 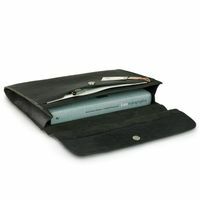 However, the case is too small for folders, also narrow ones, or you won’t be able to close the flap with its magnetic closure all the way anymore. 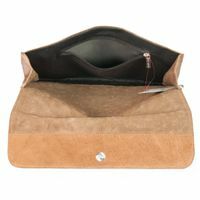 You can keep smaller items, which you do not want to have flying around the bag loosely, in the inside zip compartment well, that way the portfolio won’t be chaotic if that is not what you want. 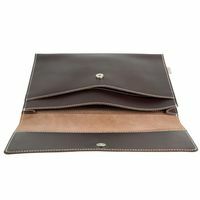 Due to the special tanning procedure, the portfolio does not only look practical, simple and suitable for everyday use, but at the same time also always timeless chic. The washed leather always keeps its softness due to the so-called “cow washed” procedure and maintains its so distinctive character which stands out with its planned natural look. 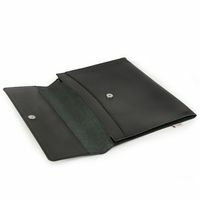 This special style stands for exceptional durability on the one hand, but also for a special individuality which one does not come across that often in the large mass of leather files.